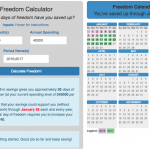 The goal of the freedom calculator is to let you know how close to financial independence (i.e. freedom) you are, measuring your progress in terms of freedom days. The key determinants for retirement are total retirement savings and annual spending. 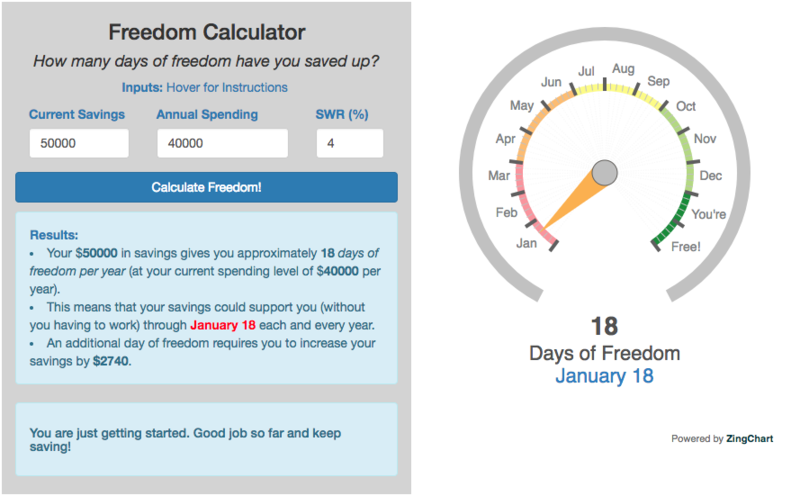 Freedom days refers to the number of days that your retirement savings could sustain you (without working) each year (indefinitely) at your current spending level. Once you reach 365 freedom days per year, you’ve got enough money saved up to never have to work again. The freedom date then tells you the date through which your retirement savings would support you each year. For example, if you have 100 freedom days then your spending could be covered through April 10th, each year. How close are you to 365 “freedom days”? 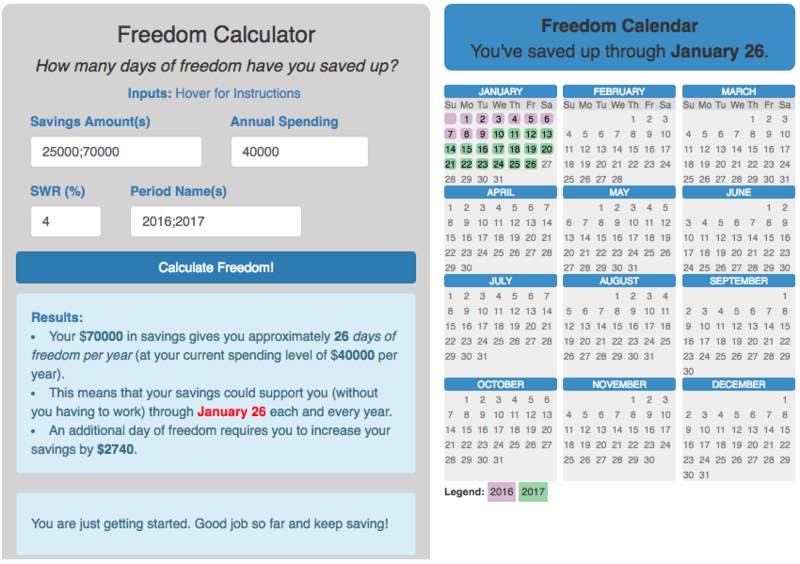 The calculator also shows how much you will need to acquire (through savings or investment growth) to add one additional freedom day. 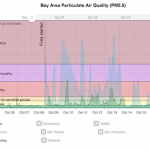 If you like and use this calculator, you might like a slightly more complicated version that lets you color code multiple periods, so you can track the progress of your freedom days. 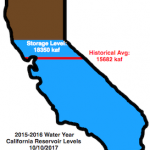 you can save and share specific instances of a calculation. Calendar Update: 1/22/2018: made a new version of the graph, which looks like a calendar to visualize the number of days of freedom you have achieved (and checked off), and how many more you have to go. Update: 4/12/2018: I combined the two views of the financial calculator (calendar view and the gauge view). Click the tabs to toggle between the different views. I’ve also added a “Generate URL” button to automatically populate the URL bar with the parameters so you can copy and share your calc with others. I love this calculator! I found a link for it on a MMM sub-forum. It just visualizes everything that we are trying to accomplish and puts it in bite size chunks. Thank you so much, I can’t wait to show my husband. Awesome! I’m glad that you like it. Thank you so much for this! I’ve been reading personal finance for decades and am always happy to find a different way of looking at things.